League of Legends’ next big content patch is 8.9, introducing a suite of changes to mages thanks to a tweak to Doran’s Ring. Have a look below for all the information we’ve got, straight from the PBE. 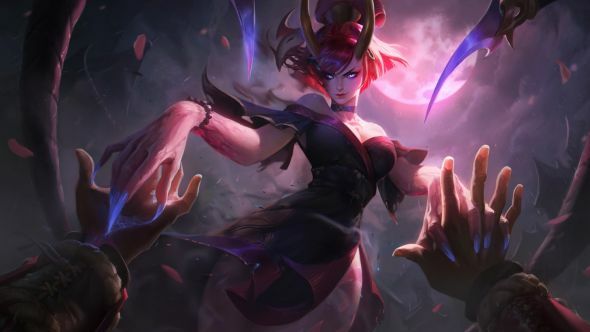 Stay up to date with the League of Legends patch 8.10 notes. We don’t know the exact release date for patch 8.9 yet, but the schedule is bi-weekly so expect it on Wednesday May 2. We’ll update when Riot do, but keep an eye on the server maintenance page for the latest updates. Mana cost decreased to 50/55/60/65/70 from 80/90/100/110/120. Max health regen increased to 50/75/100% from 40/50/60%. Bonus damage increased to 30/65/100/135/170 from 30/55/80/105/130. Armor and MR cap increased to 40 from 30. Initial health cost decreased to 22.5% from 25%. Passive timer duration reduces by 2 seconds per level until level 6, then 3 seconds/level until level 11, then 4 per level until 15. Missile width increased to 80 from 65. Living Weapon missiles decreased to 10 from 12. Bonus attack speed duration after charge decreased to 4 seconds from 5 seconds. Shield increased to 60/85/110/135/160 from 40/70/100/130/160. Damage (every fifth hit) changed to10/20/30/40/50 (+60/70/80/90/100% bonus AD)(+30% AP) from15/20/25/30/35(+60% bonus AD)(+20%AP). Active damage decreased to 60/85/110/135/160 from 65/95/125/155/185. Active AP ratio increased to 80% from 55%. New effect: IfLightning Rush damages an enemy champion, Kennen gains 30/40/50/60/70% attack speed for 4 seconds upon exiting Lightning Rush. Changed effect:Lightning Rush’s defensive bonuses are lost whenever Kennen returns to his normal form. Damage increased to 60/100/140/180/220 from 40/80/120/160/200. HP per level decreased to 85 from 91. Bonus Attack Speed at level 1 increased to 10% from 0%. Attack speed per level decreased to 1% from 1.36%. Damage increased to 75/115/160/205/250 from 50/100/150/200/250. Cooldown decreased to 10 seconds at all ranks from 13/12.5/12/11.5/11 seconds. Mana cost decreased to 40/45/50/55/60 from 50/55/60/65/70. Return shield amount changed to ‘2x always’ from ‘2x if missile hits ally on the way out’. Lux nowshields herself and fires the missile at the start of cast (instead of after the .25 second cast time). Missile speed decreased to 1200 from 1300. AOE radius decreased to 310 units from 350 units. Cost decreased to 60/70/80/90/100 mana from 70/85/100/115/130. Cooldown changed to 10 seconds at all ranks from 10/9/5/9/8.5/8 seconds. Mana cost increased to 70/80/90/100/110 from 60/70/80/90/100. Movespeed decreased to 340 from 345. Range on buckler throw increased to 350 units from 300. Movement speed decreased to 30% at all ranks from 32/34/36/38/40%. Armor and MR decreased to 10% from 15%. Range increased to 475 from 425. Uncharged Keeper’s Verdict knockup duration now 0.75 seconds at all ranks. Bonus armor increased to 30 from 20. Spell ranks decreased to [5 (1/3/5/7/9)] from [6 (1/3/5/7/9)]. Damage changed to 60/90/120/150/180 (+45% AP +2% Bonus Mana) from 60/85/110/135/160 (+45% AP +3% Bonus Mana). New effect: Deals (14 + 2 per level)% additional damage as true damage to enemies with Flux. Shielding changed to 50/75/100/125/150 from 65 + 5 per level. Movement speed changed to 20/25/30/35/40% from 25/28/31/34/37/40%. Movement speed duration increased to 2 seconds from 1.5 seconds. Cooldown changed to 15/13/11/9/7 seconds from 13/12/11/10/9 seconds. Damage changed to80/100/120/140/160 (+60%AP) (+1% Bonus Mana) from80/100/120/140/160 (+60%AP) (+1% Bonus Mana). CC type changed to ‘applies a 50% slow that decays over 1.5 seconds’ from ‘roots for 0.75 seconds’. No longer has a mana cost. 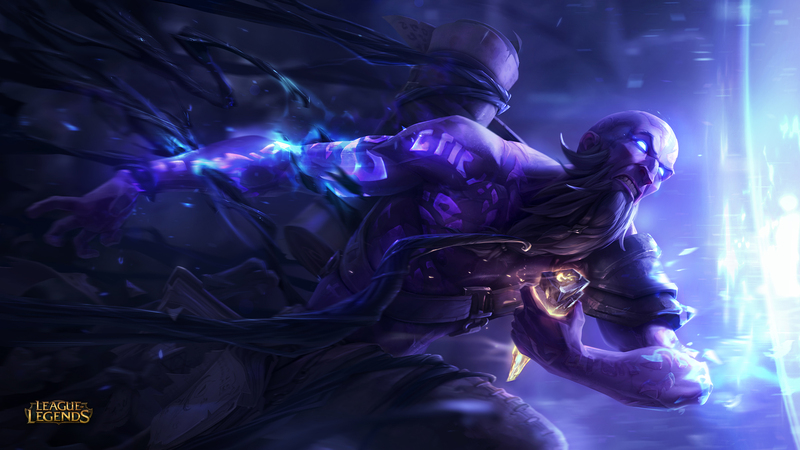 New effect: Casting Rune Prison restores 6/6.5/7/7.5/8% of Ryze’s maximum mana. Cooldown changed to 3.5/3/2.5/2/1.5 from3.25/3.00/2.75/2.50/2.25. Removed:Overload Damage Bonus (replaced by Q true damage mechanic). W Bonus changed to ‘roots instead of slowing’ from ‘increased root duration’. Spread damage increased to 100% from 50%. Bounce Radius decreased to 275 from 350. Ranks changed to 6/11/16 from 6/11. Range increased to 4000 units at all ranks from 1750/3000 units. Cooldown changed to 300/240/180 seconds from 180 seconds at all ranks. Damage changed to20/32/45/57/70 (20%bAD) (0%AP) from20/32/45/57/70 (20%bAD) (10%AP). Fireball damage changed to60/100/140/180/220(+30%AD) (+70%AP) from60/100/140/180/220 (+30%AD) (+30%AP). AP % returns to 30% while in Dragon form. Damage changed to 150/250/350 (+100% AP) from 150/250/350 (+70% AP). Base AD increased to 49 from 46. Q upgrade change to +15% damage vs champions from +2 seconds. Base AD decreased to 63 from 66. Target’s max health % changed to 6/6.5/7/7.5/8% from 6/7/8/9/10%. Damage per mine increased to 40/75/110/145/180 from 40/65/90/115/140. Total cost increased to 3000 gold from 2900. AP increased to 75 from 70. AP increased to 35 from 30. Base mana regen decreased to 25% from 50%. No longer gives base mana regen. No longer returns mana on minion kill. Now gives 5 mana per 5 seconds. Now gives +5 damage on hit vs minions. Gold cost increased to 1300 from 1100. Combine cost increased to 515 from 315. AP increased to 40 from 25. Unique passive mana restore on level up increased to 20% from 10%. Combine cost decreased to 650 from 450 (total cost unchanged). Slow decay increased to 2 seconds from 1 seconds. Build path: Lost Chapter + Blasting Wand + 1050 gold. Total gold cost decreased to 3200 from 3300. Glory needed for movement speed bonus decreased to 10 from 15. Gold cost increased to 850 from 750. Mana cost reduction decreased to 10% from 15%. When you gain max mana from Tear of the Goddess’ passive, it preserves your percent current mana. Build path: Tear of the Goddess + Lost Chapter + 1050 gold (total cost unchanged). AP increased to 90 from 85. Cost increased to 2900 gold from 2800. AP increased to 120 from 100. Unique active max AP decreased to 80 from 100. Spellcast stacks AP value decreased to 0.8 AP from 1 AP. Unique active movement speed increased to 50% from 30%. Stored spellcasts now worth 0.5% movement speed. AP increased to 70 from 60. These items now have a gold value, and can be sold without losing out on gold. “Swap one of your equipped Summoner Spells to a new, single use Summoner Spell. Each unique Summoner Spell you swap to permanently decreases your swap cooldown by 15s (initial swap cooldown is at 4 mins). Your first swap becomes available at 5 mins. Summoner Spells can only be swapped while out of combat. Each patch has its own login screen with unique music. They’re always fairly excellent, though 8.9’s hasn’t appeared yet – expect it in the next week or so. It will likely be based around the Mid-Season Invitational. That’s League of Legends patch 8.9. We’ll update as and when we get more info, or we’ll see you for patch 8.10 in the very near future. Let us know below if there’s any vital info we missed!